Criminal Record Check: How Do You Know? It’s not uncommon to hear that bad things happen to good people. We also understand that good people sometimes make bad decisions. It can be frustrating when the smallest of mistakes leave a mark on your record. This can then lead into future complications regarding important things like employment and travel. Do not let a past mistake keep you from a brighter future. If you are unsure about whether or not you have a criminal record, we can help you figure it out. However, instead of doing a criminal record check, why not erase it and gain peace of mind? We can even help you get a record suspension, or even remove your criminal record entirely through a pardon. First things first, you should know that your Canadian Criminal Record is not available to the public. Yes, certain people can access your record but there are specific procedures for this. For example, your parents, siblings, or spouse cannot access your record, but a potential employer or financial institute can. This is because the latter base their decisions on various aspects of your life, including your criminal record. For instance, an employer might not feel comfortable hiring somebody who was convicted of fraud or theft in their accounts or similar finance department. When a police officer or department runs your fingerprints or ID information, they will be able to see a few details. Each police department has their own records but the national RCMP keep comprehensive records. In other words, your local police department might not have a record of an offense committed in another province but this record is found on the database kept by the national RCMP. So, even if your record came up clear at the local police department, you could still have a record elsewhere in Canada. If you want to find out whether you have a criminal record in Canada, you can do so by following a number of specific steps. You will need to have your fingerprints taken and you will need to complete an application form. Take your time when completing this application form and make sure that all of your details are correct. If there is anything you don’t understand, it’s best to leave it blank and ask for assistance rather than completing the form incorrectly. Once your form is complete, double check to make sure that you have not left anything out and that all of your details are 100% accurate. You can then submit your application and your fingerprints electronically. Your electronic application submission can and should be verified. Should you notice that your submission did not go through, at least you know that there was a problem and you can retry. Once you receive your response, it is advisable to keep this proof on file. Should you believe that the record contains any errors, it is best to consult a professional regarding rectifying these records. If you have a criminal record – no matter how minor it may seem – it is best to avoid traveling abroad. Even if you do manage to get across the border once, twice, or multiple times, you never know when border patrol will stop you and turn you away. Once this happens, it will be even more difficult to travel, even if you obtain a waiver. Keep a file of all relevant documentation so that you have everything you need on hand for your waiver or pardon application. In addition, keep in mind that pardons and waivers are not the same thing. If you already have a pardon, for example, you will still need a US Entry Waiver to enter the United States. Without it, despite your existing pardon, you could be turned away. Even if you do manage to enter the US, you could be sent packing before you know it. Moreover, if you do not have a waiver and you are pulled over for speeding, your record could come up and this could escalate the gravity of your offense. Whenever traveling to a foreign country, it is always best to play it safe and have all the necessary measures in place to ensure that you are not breaking the law in any way. If you committed a minor offence, chances are your criminal record has not yet impacted your life in a significant manner. At this point, you may wonder whether applying for a pardon is even worth the hassle considering your life has remained fairly undisturbed. However, this does not mean it will never impact you – and when it does, you’ll wish you had suspended your criminal record with a pardon through the Parole Board of Canada (PBC). In fact, there are countless obstacles facing someone who holds a criminal record. The degree to which you can be affected depends on what exactly you seek to accomplish. If you want to get a job, employers have the right to demand a criminal record check. If you wish to travel abroad, like to the USA, you cannot cross the border without an US Entry Waiver. The same applies to matters of custody, renting, education, and so forth. Don’t wait to rid yourself of this unnecessary burden because a criminal record can lead to missed opportunities. You Have A Canadian Criminal Record: Now What? 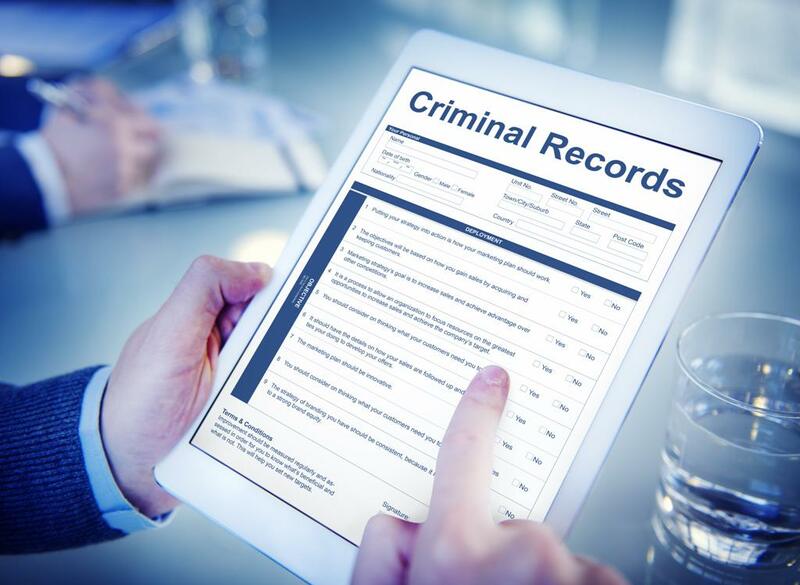 Don’t just keep checking to see whether or not you have a criminal record. Criminal record checks get you nowhere. Get a pardon and expunge your criminal record with the help of experts! The documentation and process can be tricky for those who are unfamiliar with the system and requirements. For expert assistance facilitating your Canadian Criminal Record Pardon or US Entry Waiver, contact Federal Pardons Waivers Canada at 1 (800) 543-2137 today. Remember – your criminal record might seem like a life sentence but it need not be this way. Don’t let your past mistakes hold you back. Our team is always happy to help you get back on track as we put our expertise to work for you!